Peace of Mind for Your Move. NC Mover of the Year! We’re not part of a national chain, we’re your neighbors. You might have seen us at church, the grocery store or a PTA meeting because we live and work right here. When the Coastal Carrier team shows up on moving day, think of us as one neighbor helping another; because that’s exactly what we do. 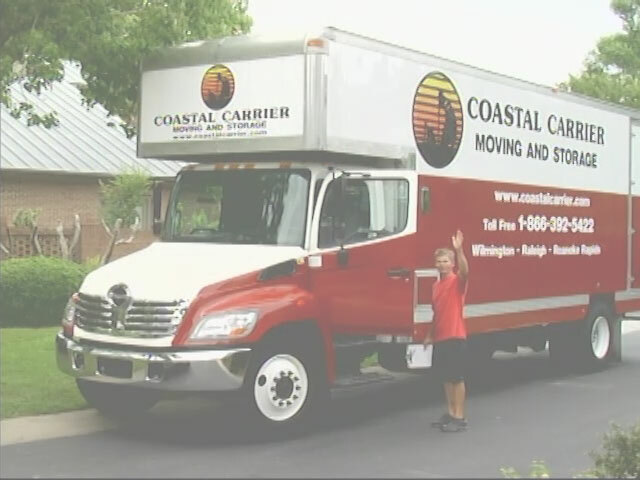 We started our moving company in Wilmington, NC over 30 years ago and we’ve been creating happy customers since. If you need a long distance moving company or are moving across town, Coastal Carrier is ready to help! We have over 30 years experience moving thousands of families. In the process, we’ve earned an A+ Better Business Bureau rating and some happy customer reviews. We provide residential and commercial moving services in Wilmington, Raleigh, Jacksonville, Roanoke Rapids, Rocky Mount and Myrtle Beach to name just a few. View the locations we serve across North and South Carolina. Get your free moving estimate by filling out the form and we’ll send you a moving quote in one business day! Or, if you would like to speak to someone feel free to call our friendly staff at 866-392-5422. And, to help prepare for your move use our helpful moving guide.